Juniper Restoration this project is based around the Cample Burn near Muirshiel, the project plans are available on our downloads page. 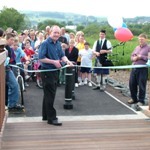 Semple Trail is a multi agency access, restoration and interpretation project at Castle Semple aiming to improve the links the between communities and facilities in Lochwinnoch and Howwood. Download the project leaflet and map or find out more about the Semple Trail project and its HLF funding. 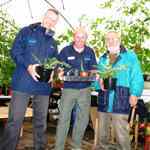 Woodland Plans usually run for 25 years, in collaboration with the Forestry Commission and with local consultation. 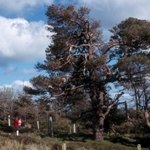 The Muirshiel and Parkhill, Woodland Management Plans are available from our downloads page. 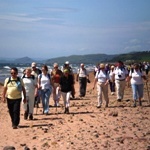 Walks to Health are provided in conjunction with local Walking Development Officers and through GP Referral schemes. Wildlife on Camera provides an easy way for everyone to view wildlife, our iconic Hen Harriers can be seen at Muirshiel during the breeding season, and ‘swallowcam’ is popular at the Greenock Cut Visitor Centre. Plans are progressing – if we get the co-operation of the wildlife – to have more species on camera, look at the wildlife on camera page for the latest information.